A black and white large format negative of the construction of sewers. In this view four men are standing and observing two men working in the trench. 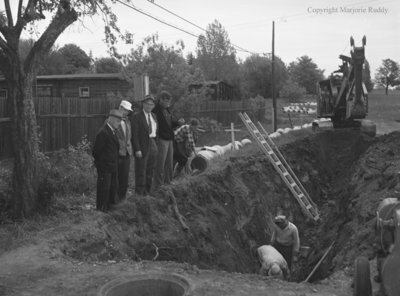 Sewer Project, June 16, 1953, Marjorie Ruddy. Whitby Archives A2013_040_300.